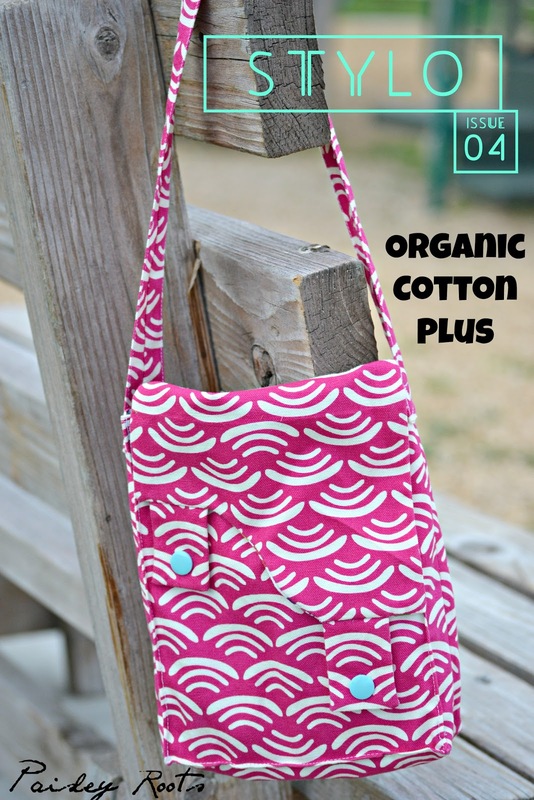 Today I'm back with another review for Organic Cotton Plus. It came just in time for me to incorporate into my STYLO looks and I was so happy about how it turned out! I received canvas in KOI - Smile and wave rose. 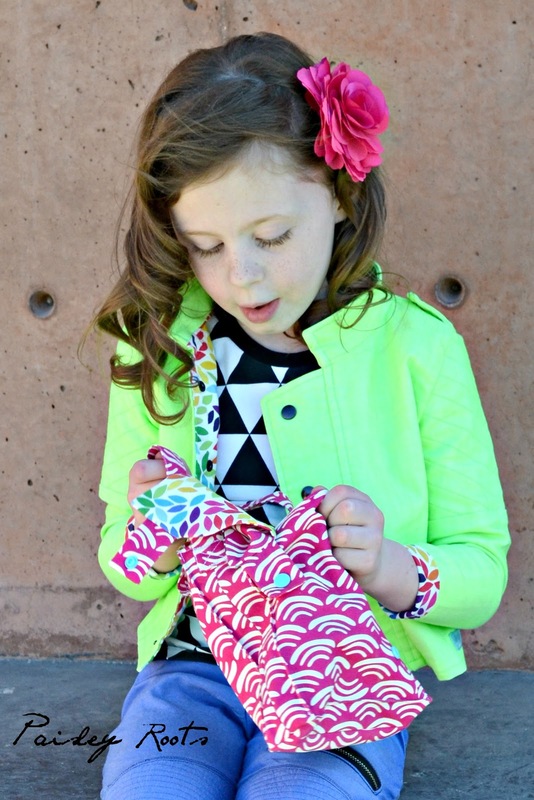 My girls needed a new little bag, so I used Puperita's Bright Messenger Bag pattern. It's the perfect size for the kids! They can still fill it up with quite a few very unwanted rocks, but it really is just perfect for them to carry their stuff around in! The lining is Multi Petals from Joanns and I used two aqua Kam Snaps for the closures. 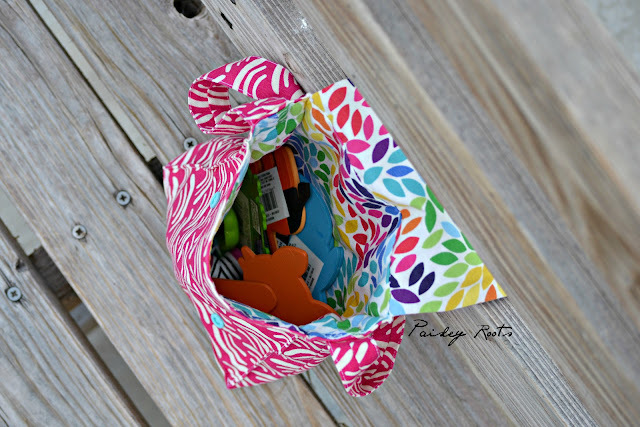 My girls have been taking this bag everywhere and it has held up so amazingly well! I will also add that they have been taking this everywhere for almost 2 months and I took these pictures just this weekend. 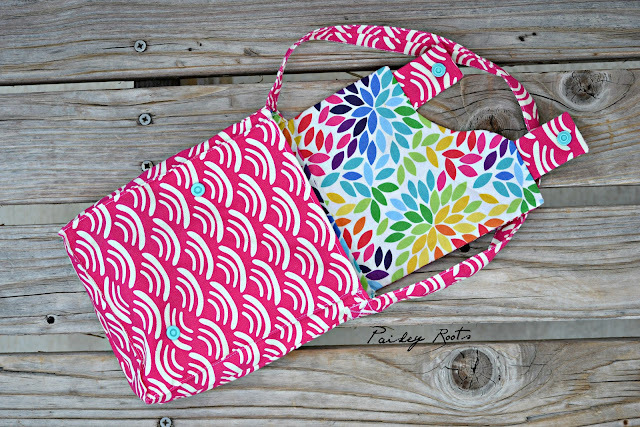 The fabric is absolutely perfect for a good quality bag. Thank you again Organic Cotton Plus! !